As part of an ongoing series, we are sharing insights from one of our speakers about the opportunities and challenges the industry faces while also hearing a little about how they got started. 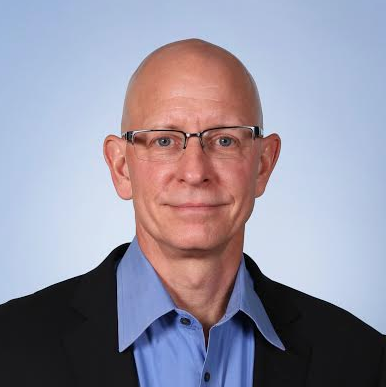 Today's Q&A is with Dan Viza, Head of Emerging Applications for Freescale Semiconductor, who will speak on the panel, 'The Future Kitchen: Emerging Kitchen Technologies', which will look at how technology will radically change the way we cook over the next decade. You can read more about Dan here. Viza: We believe that people the world over increasingly face tough choices on a daily basis about the quality of food they prepare for themselves and their families, given the amount of time and resource they have available. So Freescale is providing solutions to appliance OEM’s that enable them to create cooking appliances using solid state RF energy that deliver consistent, high quality cooking results with convenience. That means food that retains moisture and nutritional elements by not overcooking. That also means achieving cooking results in shorter times, and enabling appliances to work within the emerging on-demand food environment and services platforms. Tell us about an important ‘origin story’ moment in the founding of your RF cooking business. Viza: I was asked by the head of our business what I recommended to address the challenges appliance OEM’s had in understanding how they could differentiate a cooking appliance using solid state RF energy as the primary cooking source. My response was that we should create an appliance that reflected the benefits we believed were possible in design aesthetic, functionality, convenience, and performance. He immediately grasped the potential and approved the proposal to make it happen. The result was announced in June at the Freescale Technology Forum as the SAGE concept appliance (www.freescale.com/RFSage) . The response from the audience was immediate and positive as was the response from press and OEM’s which was the result we had hoped for. Viza: Being able to empower appliance manufacturers with a cooking solution that enables consumers to cook higher quality meals from fresh and high quality foods, while doing so in an on-demand environment. So many people trade off food quality for time and we are working to reduce or eliminate the need to do that. We are also very excited about how solid state RF cooking devices can literally re-shape the approach to appliance design away from always being a shoe-box style configuration to designs that bring differentiating user experiences as well as attractive, contemporary style. What is the biggest potential pitfall you believe the smart kitchen industry needs to avoid to realize its potential? Viza: For the ‘smart kitchen’ to develop and grow, services need to be created that utilize data that smart appliances can provide but in turn, those services must deliver something that is actually helpful, useful, value added, and non-intrusive for the end consumer whose data is being used to drive that service application. There may be challenges like standardization that comes into play, but having truly useful and valuable services will draw people to the service/application. Viza: The two biggest dynamics affecting the kitchen and foodtech space is the growing demand for healthier foods coupled with on-demand environment. These factors are making measurable impact on the retail and restaurant food industries and our view is that the confluence of these two factors can enable long-term changes in the manner in which individual’s source and prepare their food for personal consumption. Our intent is to be able to provide the intelligent cooking devices that help individuals to enjoy the benefits of those factors. Come hear Dan Viza and over thirty other great leaders in the connected kitchen on November 5th in Seattle. Register today!